Direct-to-Consumer wine shipments, also known as DTCs, continue to increase based on the steady growth in overall U.S. wine sales. Napa Valley continues to be the dominant player in this market but others are joining the fray. California currently accounts for 85 percent of the U.S. DTC market and within California, Napa wineries account for over half of all DTC shipments. 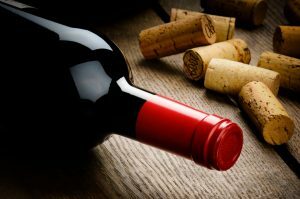 U.S. wine sales rose roughly 3 percent in May of this year, topping $3.1 billion for the month and approaching an impressive $40 billion over the past 12 months, according to market research firm bw166. Total wine sales, included packaged imports and all other types of wines also increased by 3 percent with more than $60 billion in total sales over the past 12 months. Direct-to-Consumer wine shipments value rose by 16 percent in May compared with the same period last year, reaching $213 million in sales. Case volumes also increased by 15 percent over the same period.